If you’re concerned about power outages in your Bergen County home, GRC Mechanical can help. We offer the service and installation of Generac generators, so you’ll never have to be left without power. With a Generac generator, you’ll never be without lights, heat, well water or sump pumps. Your refrigerator will always have power, too, so concerns over spoiled or wasted food is a thing of the past. 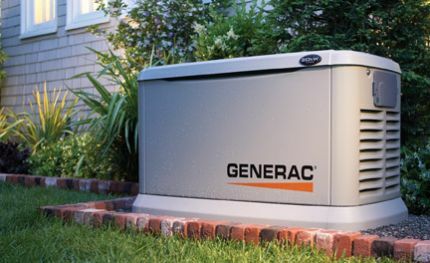 Generac generators are powered by natural gas and turn themselves on and off automatically. 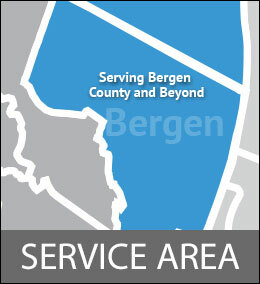 So, if you’re away from your Bergen County home, you and your family can rest assured that everything is running fine. And, when you trust GRC Mechanical for your generator service and installation needs, you’ll enjoy professional, courteous service performed by specially trained technicians. GRC Mechanical provides customers with generator repair and generator installation throughout Bergen County, NJ. We serve throughout this whole geographic region and have employees who live in both counties. We’re there whenever you need emergency generator service or repair. Expand to see a list showing many of the areas in Bergen County, NJ in which we regularly repair and install generators.